Every credit card offers an automatic payment system. Auto pay does just what you might think — it automatically pays your bill each month on the date it’s due. If you miss a payment or make a late payment, you’ll not only incur hefty fees, but you can also hurt your credit score (depending on how late your payment is). So, by enrolling in automatic payments, you prevent these issues. Most card companies offer you the option to sign up for auto pay on the card’s website; if not, call the company and they will mail you a form to complete. Just make sure that you have enough money in your bank account to ensure you won’t be overdrawn when the auto pay makes its withdrawal from your account. 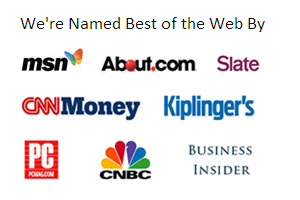 If you’re not banking online, you should be. When you sign up and register for the card’s website, you’ll have instant access to your card’s balance. But you’ll also be able to have faster access to the rewards program and customer service. When you’re traveling internationally, you won’t have to incur fees to call your bank — you can just log on. Finally, registering for the card’s website enables you to access other features like text or email reminders. No one actually wants to login to their credit card account every day or week (depending on your compulsiveness). Instead, you should sign up for text or email notification of key events such as payment due dates. Some cards will send you a reminder if you are getting close to a set spending limit. Personally, I get emails once a month with my statement balance. Just because you are enrolled in auto pay and get monthly reminders of your balance doesn’t mean you can forego actually reading your statement. Every month, sit down and look through your statement to ensure there are no erroneous charges. Just this past summer I discovered two fraudulent charges for a rental car that I never rented (in a city I hadn’t visited.) The charges were relatively small, so had I not looked at the statement, I might have completely overlooked them. When you enroll in auto pay, select the option to pay your statement balance in full. All highly responsible credit card users pay their balances in full each month to avoid interest and fees. If you can’t afford to pay your statement in full each month, pay as much as you can afford, and call your credit card company to negotiate a lower interest rate for your card. I love telling people that if they lose an earring or spill red wine on white pants just after making a new purchase, they may be eligible for a replacement or refund from their credit card. Seriously. You have a lot more credit card perks than you likely know about. Check out my credit card perks checklist, and then call your card company to request a complete list of membership benefits. Once you know your credit card perks, start using them. When you go on vacation, pay with the credit card that offers the best car rental insurance. When your new scarf is lost or stolen, report it to the credit card and get a refund. When the price on the phone you just purchased drops by $50, call your card company and request a purchase price adjustment. It’s that easy. You should be using a rewards card — one that matches your spending habits. For instance, if you’re a new parent, use a card that’s good for new parents. If you drive a lot, get a card that offers 5% back on gas. Travel much? Choose a travel rewards card. You get the idea. Don’t just settle for a card that gives you 1% cash back on everything. If you do this you’re likely passing up on hundreds or thousands of dollars worth of rewards each year. Instead, spend 30 minutes reviewing a few recent months of spending, and get a card that gives the highest rewards for where you spend the most money. Once you’ve earned rewards, you need to spend them. Don’t just opt for cash back. If you can trade your rewards points for items or travel, those may be better deals. For instance, I get a much better value when I use my points for hotel nights or airfare than I would by buying a gift certificate. I’m currently planning on using what amounts to about $700 in cash back rewards for $2,400 worth of hotel nights. You don’t have to spend a lot of time calculating the reward value, but a few minutes could lead to a huge boost in benefits. Most importantly, spend the rewards on items you actually need or want. Don’t just opt for a Gap gift certificate because it’s the first thing that pops up in the rewards redemption. If you can get an Amazon gift certificate that won’t just sit in your drawer for years, get that instead. One of the best little-known habits of highly responsible card users is that they choose their credit card due date. I have my cards set up to all be due a few days after payday. This gives me time to ensure that the paycheck was properly deposited and cleared, but not so much time that the money in my bank account gets spent on other items. Plus, it’s much easier to just check my account once a month and say, “I know my credit card totals were $1,000 this month, and yes, I have that in my account today,” rather than having to check my account multiple times each month. Even if you’re not using your credit card very frequently, you shouldn’t cancel it. Canceling a credit card may actually lower your credit rating. Instead, keep the card in your dresser drawer, and use it once a year. (See next tip.) The primary exception would be that you can cancel your card if it has a fee (as paying the fee may cost more than a ding to your credit score would). Credit card companies know that it costs a lot of money in administrative costs to retain a card user who isn’t using their card. As such, some card companies have started cancelling cards that haven’t been used frequently enough. If you have a card tucked away because you don’t use it very often, I recommend either setting up one monthly expense on the card (like Netflix) or just taking the card out once a year for a random expense. That way you won’t risk having the card canceled on you which will lower your credit score. 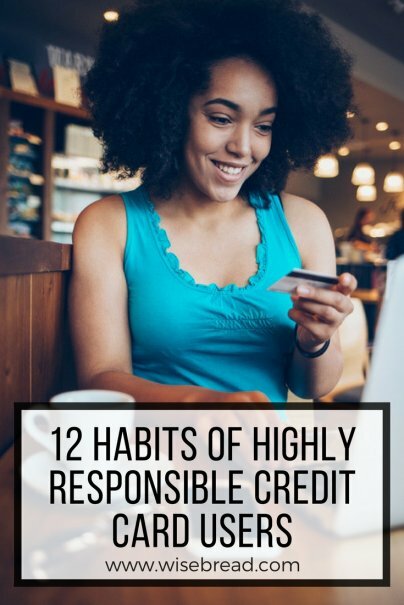 What good habits have you developed as a responsible credit card user?